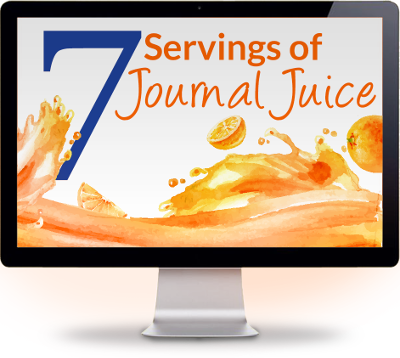 7 Servings of Journal Juice! 7 daily doses of information and inspiration for your journal writing practice delivered directly to your inbox! Journal writing tips and exercises in every serving of journal juice that you can try right away. You will also receive a complimentary subscription to the Journal Juice Museletter featuring articles, journal writing prompts and exercises, inspiration, IAJW news, offerings and coming events! Can journal writing help you feel more calm now? NEW Ask Our Coach Feature – How to create the journal writing habit?